Christmas is an enduring celebration that unites generations. We share so much of ourselves and our memories during the holiday festivities, and A "Keepsake Christmas" is designed to help capture that loving nostalgia. This gift book is fashioned for those of us who, especially during the Christmas season, long to weave our relationships into a richly textured fabric of love and community, creating the kind of sanctuary in our homes that expresses the love in our hearts. 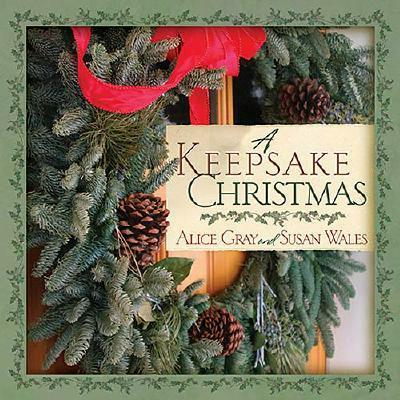 In their warm, personal style, Alice and Susan have created a collection holiday stories, poignant quotes, poems, vignettes, and favorite carols dispersed throughout the text that are cozy as candlelight. Description: HARDCOVER. Very Good - Condition. Binding tight, pages mostly clean: Gift Inscription on Gift Inscription page. No Dust Jacket: pictorial coverboards. Nice copy!